I would like to talk about a topic that the majority of men do not care about, even though we all should think of it. I am talking about taking care of the intimate parts of our body. We all know they are very delicate, but do you take care of them as you should? Probably not. More and more men are now starting to use skin care products for their faces, because our skin there is different and these products work better on that skin than, for example, a body cream. Our face is not the only part of our body with sensitive skin, though. Our crotch is also very sensitive, but we do not pay too much attention to it and we normally use our body wash. We use specific products for our hair, hands and face, and we must use one for our groin. The main problem for this is that we don’t talk about this issue as much as we should and some people feel embarrassed by mentioning this kind of products. It can be also quite difficult to find intimate skin care products for men, as the most famous ones are just for women. You may have heard of brands such as Femfresh or Chilly, but do you know any selling products for men? 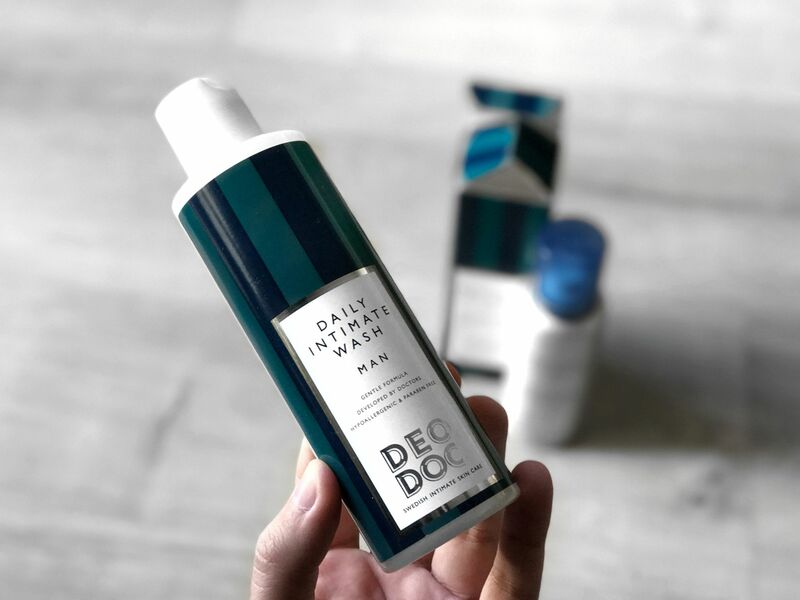 I did some research and I found one that I really liked, which is Deodoc, and they sell intimate skin care products for both women and men. I contacted them and they kindly sent me some samples for me to try. I definitely recommend you using this kind of products, because I have noticed a difference. It definitely improves our intimate skin and it smells nicer. Even though their intimate wash doesn’t not have a strong scent, it smells very nice and it is very gentle with the skin. Some body washes tend to dry your intimate skin, but this one doesn’t do that, obviously. Also, you need a very small amount in order to wash all the area, and then you only need to rinse it. Their wash is great and I was really impressed by the results, however, my favourite product is definitely their intimate deodorant. Let’s be honest, our intimate parts tend to sweat quite a lot, especially if you work out frequently or just go for a walk. We experience the same thing with our armpits and we use deodorant for them, so why wouldn’t we use a specific deodorant for our crotch? Using high-quality underwear helps with this problem a lot, but Deodoc‘s intimate deodorant will keep our intimate parts dry and clean for longer, so that we can feel much more comfortable. Don’t you hate it when that part is sweaty? That will solve it. 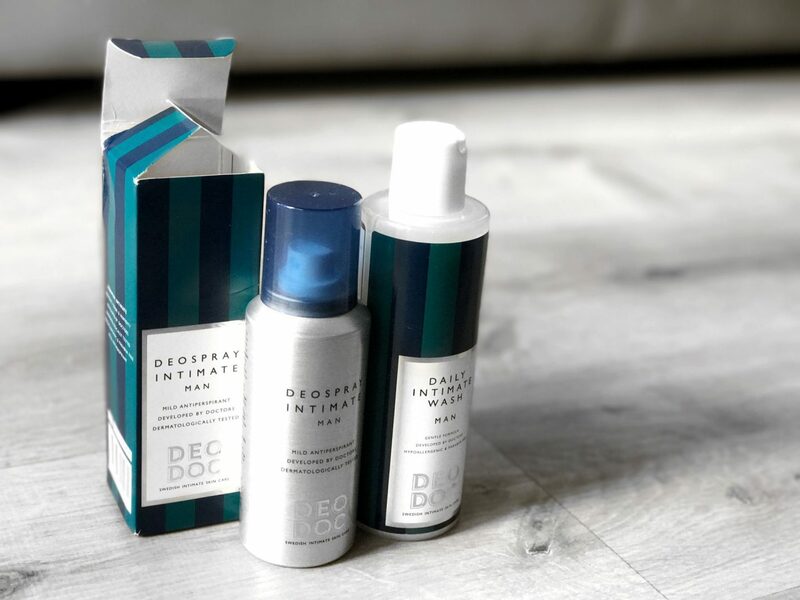 You should try Deodoc‘s intimate products because I am sure you’ll end up loving them and they’ll improve your hygiene. You can also use some similar products, as the most important part of this post is that everyone should start talking about this topic and start looking after one of the most sensitive parts of our body which is our groin and scrotum. Let me know if you already use any of these products or have used them in the past, or even if you will try them in the future. I’d really love to know more intimate skin care products to try, so feel free to recommend me any that you may know or have heard of.